Also know as a Filet Baucher or Hanging Cheek snaffle, Korsteel's French Link Half Cheek Snaffle is a little stronger than an ordinary french link eggbutt snaffle, as the longer cheekpieces add a small amount of poll pressure. When the rider picks up the reins and applies pressure to the bit, the bit tips forwards and creates a lift in the mouthpiece, which reduces the pressure across the tongue and bars of the mouth. It instead focuses the pressure on the corners of the lips, which can help to 'lift' a horse that can get heavy in the contact. 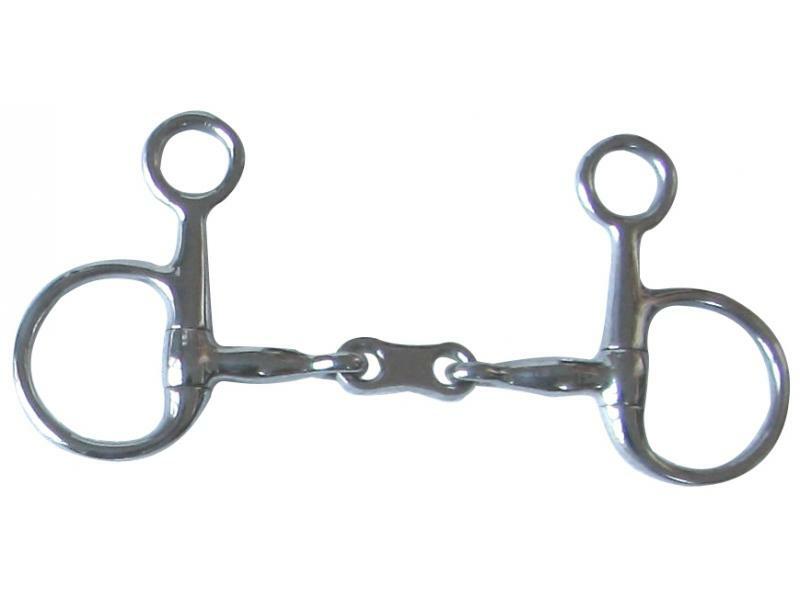 There are currently no questions for Korsteel French Link Half Cheek Snaffle - be the first to ask one!